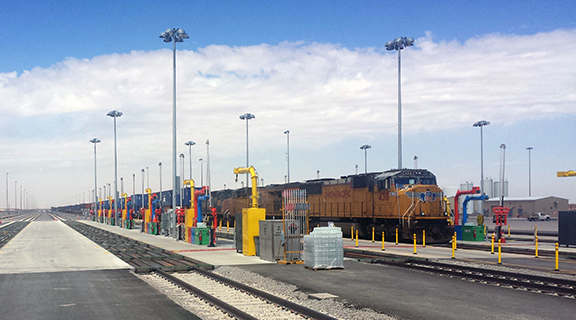 On May 28th, Union Pacific’s Santa Teresa project was officially inaugurated. The project, which promises to change the economic complexion of southern New Mexico, consists of an intermodal yard, diesel refueling station and crew changing station. Congratulations to Union Pacific on its new Santa Teresa project and the economic impact it will have in New Mexico.